This is the best way to make your event a social wall wedding! 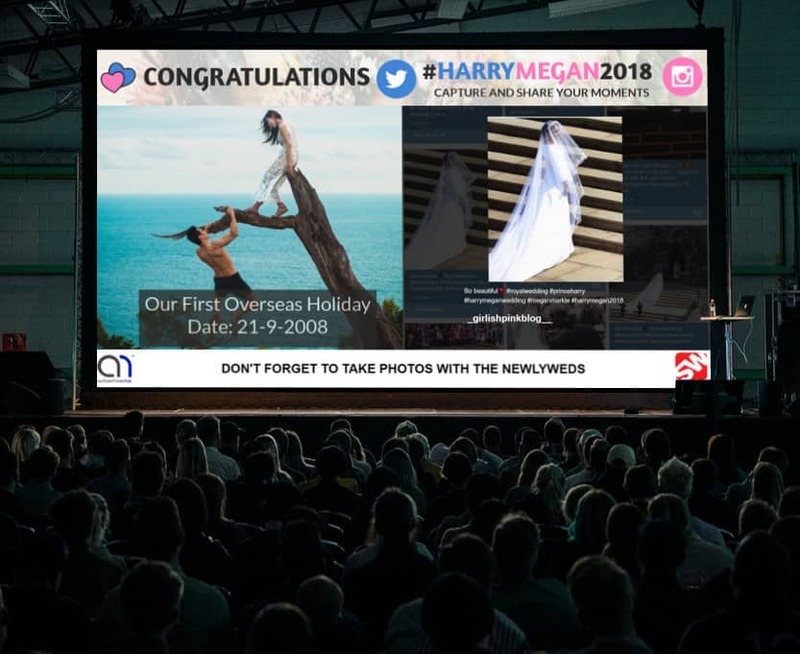 Generate a unique hashtag catered to your big day and as soon as a guest uses it on their Instagram photo or tweet, it will stream in the event wall/TV screen automatically. The best thing is that once your invitees come to know they have a 15-second chance of fame on the big screen, they will do it so instantly! Share your hashtag you’ve formed for your big day with your invitees. Add it to your invites and have a sign at the big day, and family and friends will help you curate all the phone photos that will be captured on your wedding so that they get to you instead of being forgotten on your guests’ devices after a day or two. 3. Is Your Hashtag Used? Make sure your hashtag hasn’t been used already. If it is, your social wedding wall may be flooded with a stranger’s posts and your photos may be lost among a pile of other photos. Find one of the sites that can create an unused hashtag for your use. Set the expectations of social wall sharing allowed to your bridal party and guests before the actual ceremony. That way you can stay away from your groom watching you on the social wall before the first look because your excited bridesmaids hit the share button without a thought. Also if you want to be the first to share your photo as newlyweds, you can request your guests not to post any photo until you share yours. You can modify your Facebook settings so that you can approve any photos on your social wall where you are tagged. That way you can have a better control over prevention of sharing any awkward looking images. 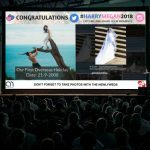 Having a social wall for your wedding is perhaps the best way to keep the excitement alive about your event if you don’t want to choose the route of creating a wedding website. Your event will get the same attention in an easier way!